Hugo Mulder (’72) aka DHM is a painter, street artist and graphic designer from Amsterdam, the Netherlands. He started doing graffiti in ’84 – graphic design in ’90 – and back to the streets with stickers, past-ups and mural painting in 2001. 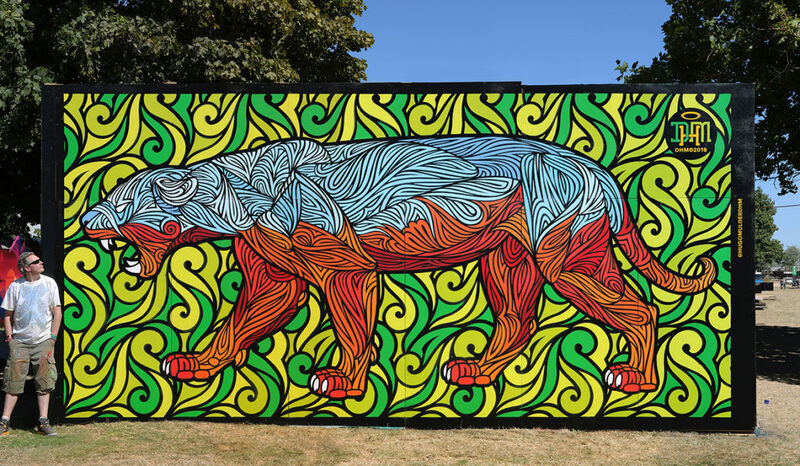 His street art work is a series of mostly animals all drawn in his well known tribal/tattoo style. Next to that he creates hand painted canvases showing the timeless unity between word and image. The last 4 years though he is mostly focussing on the female body shape in a new line driven abstract figurative style.